Welcome to my review of Traffic Builder 2.0. If you are running any kind of online business, whether its affiliate marketing, dropshipping, web design etc, one of the most important skills you must master is traffic generation. Many people will say it is the most important because, without substantial traffic, your online business will be a failure. There are many tried and tested methods for traffic generation, SEO, for example, is one of the surest ways to drive targeted traffic to your online business, but it takes time and is a long-term process (it’s my main traffic generation method). There are other ways like social media marketing, video marketing and of course paid ads. They all have their pros and cons and they all take time to see any significant results. This is the reason why there are many systems that promise you quick ways to drive targeted traffic with little effort. Most of them I have found to be utter rubbish but sometimes a few do seem to work to a certain extent. Traffic Builder is a web-based app that promises to drive unlimited traffic to any site you want. That is a big claim and not one that I believed, however, since this was the second version that was released, and Reddit was the traffic source they were claiming to get huge traffic from, I decided to purchase it. Before I carry on this review, I just want to mention a few things about Reddit. Reddit is a huge social media platform that gets over half billion visitors a month and is in the top 20 most trafficked websites according to Alexa. Registered members (called Redditors) can post links, content, images and videos to any subreddit and these can be upvoted or downvoted by other members. Many subreddits are huge (with millions of members) while others only have a few hundred, subreddits with little engagement are easy to post links to but they will not do much in the way of traffic generation. Sub-reddits with more followers and high activity are much harder to post links to as most Redditors do not tolerate spam or self-promotion. You can post your links but sooner or later a moderator will remove them and if you are a consistent spammer, your account will be terminated. Plus Reddit does not allow affiliate links unless they are cloaked, and this is basically what the Traffic Builder system does, cloak your affiliate links. However, it is still possible to generate traffic from these larger subreddits but it takes a while as you will have to establish yourself with the community and grow your karma count. There are other ways to post on Reddit and get huge traffic, you can purchase aged Reddit accounts and start posting on any large subreddits. Or you can purchase Reddit marketing services that will do this for you. I have purchased a couple of these services from blackhatworld and they do work but they are expensive and if you are on a tight budget, they are not a viable option. So when I came upon the Traffic Builder app and saw that it promised huge traffic from Reddit, I was sceptical but intrigued and unfortunately, my curiosity got the better of me and I purchased the app. Traffic Builder 2.0 is a web-based app that will allow you to post your affiliate links to the subreddit of your choice. Affiliate links are not generally accepted on text posts or link posts on Reddit, however, if you can manage to cloak them, your link will be accepted. 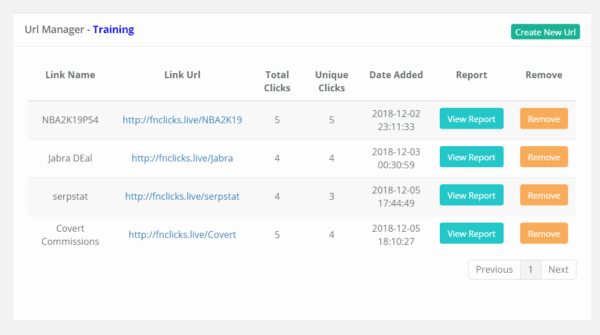 With the Traffic Builder 2.0 app, you can cloak your affiliate links and post them on to Reddit. However, as I found out, getting huge swaths of traffic is not as easy as they claim. I found a similar method on my favourite internet marketing forum, Black Hat World, where it does not require you to purchase any kind of software. I will link to it near the end of this article. And I got more results with that free method than I did with this software!! Back to my review of this product, the app has a clean interface and there are not many settings to configure and is easy to use, the video below shows how to app works. The video is from the vendor and as you may have noticed the affiliate link he posted did manage to get quite a lot of clicks. However, as you can see from the image below my results were not as good, I actually used two Reddit accounts because spamming links (and spamming is what this is) from one account can get your account banned. And one of my accounts got a warning, so this should have been something the vendors warned their customers about. Like I said earlier, using this system will put your account at risk., so, if you do decide to go ahead and purchase it, I highly advise you to never use your main Reddit account. There are 5 short training videos and a short report on Reddit and how it works. You also get a bunch of bonuses that I really didn’t find any use for and funnily enough, one of the bonuses was a training series on WordPress from 2013!! Traffic Builder offers three upsells which I am glad that I never purchased, although at the time I was interested in buying one of them. Traffic Builder Pro $37 This seems like a completely different product, I still don’t understand what they were offering. Traffic Builder Agency $37 – Sell this service and keep 100% of the profits. I wouldn’t be comfortable recommending this product, especially after seeing my own results and I do have some experience with Reddit. This is unfortunate, as I really wanted this software to work and the sales page really swayed me, this is my own fault. This product is sold on the JVZOO affiliate network and if you have read my review of JVZOO, you would know that they do not have a solid quality control process in place and seem to let any product be sold on their marketplace. Plus, if I had followed my own criteria for choosing good products on the JVZOO network, I would have found out that the Traffic Builder app has a pretty huge refund rate which would have saved me from wasting my money on this app. This system could work for people who have access to aged Reddit accounts that have a high karma count. However, for people who have no experience with how Reddit works and its voting system, this product will not be a good fit. It is unfortunate that the vendors of this product make it seem that getting traffic via this system is easy. They never mention on the sales page about Redditt’s up and down voting system and that new accounts can get banned quickly if they continue to spam. The Reddit community is known for having little patience for spammers and that is why you need a proper strategy to market your services on Reddit. I mentioned near the beginning of this article that I found a similar method on BHW that will not require any money to be spent but it is kind of a tedious process and you will have to work on it consistently the see results. You can read about it here and see how it works, I must warn you, this is simply spamming subreddit with affiliate offers and you will get accounts banned but they do offer a solution to this problem. I personally tried this method and did see some decent results, but it gets boring after a while and I decided my time would be better spent working on my online business instead of spamming Reddit. Have you purchased Traffic Builder 2.0? What has your experience been like? Would love to hear your thoughts on this system. Looks like another product that fails to deliver, which is a shame because the idea seems like it could work and as you have pointed out, the method on black hat world looks very similar and people seem to be having some degree of success with it. I’ll pass on this product but may try out the method you linked to. Thanks for your comment, yes for me it did fail to deliver and I was very disappointed but the method does work as shown in the BHW thread that I have linked to,but you just have to be careful and make sure you use different Reddit accounts when posting your links. This product did seem like it could offer bloggers a decent service, and like you, after reading it’s ‘blurb’ I felt kinda of excited. But, as I got through your review I saw how dodgy this kind of thing could be, and ineffective. Reddit is a well moderated social network and I just can’t see this sort of thing working out for long. Did you claim a refund yourself or have you seen whether you can take the system further? The sales page was very convincing and since I knew that getting huge traffic from Reddit is more than possible I thought this system may just work. No, I never claimed a refund, it did get me clicks to my link but not on the scale as suggested on the sales page. 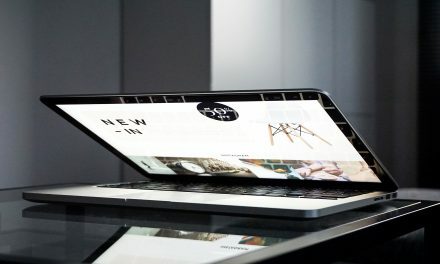 Traffic is a major concern for online blog owners and it is never easy to crack the code on getting traffic consistently. For those able to master the process can start earning money beyond their wildest dreams. I have never used reddit as a source of traffic and hope to one day make use of it. The traffic builder 2.0 seems like another software that overhypes what it has to offer. It does seem like it would be ideal for some certain situations but generally, I won’t say it is something I would like to involve myself in.